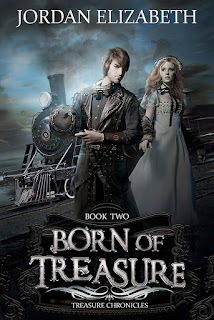 Today I want to discuss Jordan Elizabeth's western steampunk sequel, Born of Treasure. Released September 21st by Curiosity Quills Press, this book is the sequel to Treasure, Darkly. Featuring a young man with the recently attained ability to bring the dead back to life, and to communicate with ghosts, Born of Treasure is quite entertaining! Come back tomorrow for my last review on the Curiosity Quills Press September Releases Review Tour! Born of Treasure is the western steampunk sequel to Treasure, Darkly. There's a lot to love about this high octane adventure! Clark. As the young man around whom much of the action centres, Clark's pretty awesome. He's got powers that he doesn't really want, and he's doing the best he can to follow his strong moral compass. I love his desire to protect Amethyst and the Treasures. I love that he rolls with the punches as much as he can, but that every now and then something happens to really trip him up. He so very much wants a place to belong and feel safe, and at the same time, wants to protect Amethyst and the Treasures by extension. He sees what needs doing and does it rather than looking for easier alternatives, and I appreciated that as well. The setting. There's a great mixture of steampunk technology, advanced technologies, and western sensibilities. Horses alongside steamcycles. People who live off the land contrast with those who spend their time at nightclubs, shopping, and other frivolities. I loved this world, and I would gladly return to explore it more. The story. The story never slows down. 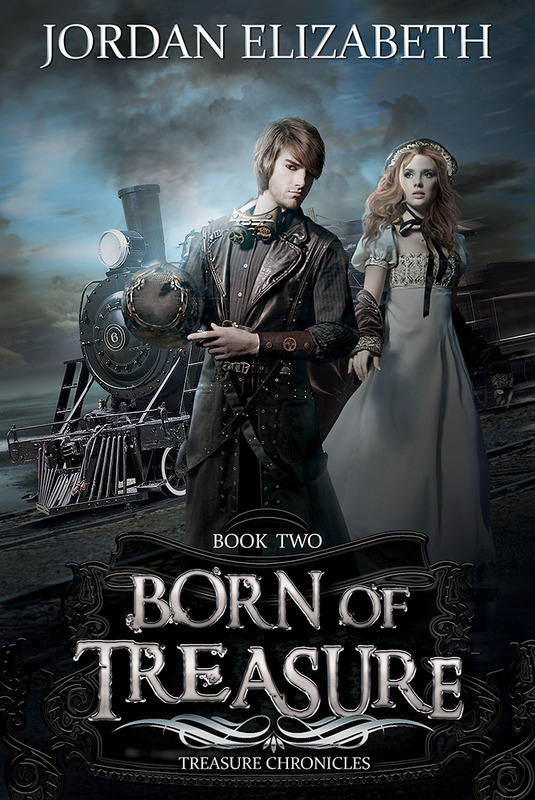 Born of Treasure is action-packed, with lots of twists and turns. There's a good balance between positive moments and moments when things get worse...and worse...and worse. It's easy to get sucked in and while away an afternoon with this book. The Treasures. I really enjoyed Jeremiah, in particular. That he's not entirely on board with Clark made me grin, but he's still very family first. I also liked that the family itself is very strong as a unit, with confidence in Garth and Georgette. I liked that these people are *not* perfect, that they make mistakes, even though everyone seems to think that might be the case. Amethyst. She's feisty and exuberant, and while there's lots to like about her, I found her, overall, to be too superficial for me. Her concerns about all the trappings of her life as a society darling in the east wore on me. Even where there's balance between her complaints about conditions, I still felt like she's very head-in-the-sand about the long-term implications about not only the situations she finds herself in, but also the consequences of some of her choices. My other issue with Amethyst is her age. Even though her age makes sense in the setting, I had a really hard time with some of the story because she's so young. It does contribute to that uniquely Amethyst vision of the world that's kind of naively self-centred? But still. An extra two years would have made me more comfortable. No time for reflection. Many of the choices made by Amethyst, Clark, and their families should have come with some emotional fallout. Particularly through the climax of the book, I wanted Amethyst to be hit by the repercussions of her actions, to see beyond the immediate success or failure of her plans (no spoilers here!). The book didn't pause long enough to get really emotional. If you've read Treasure, Darkly, you need to read Born of Treasure to see what happens next for Clark and Amethyst. And if you haven't? I strongly recommend you start with that book and then grab this one. 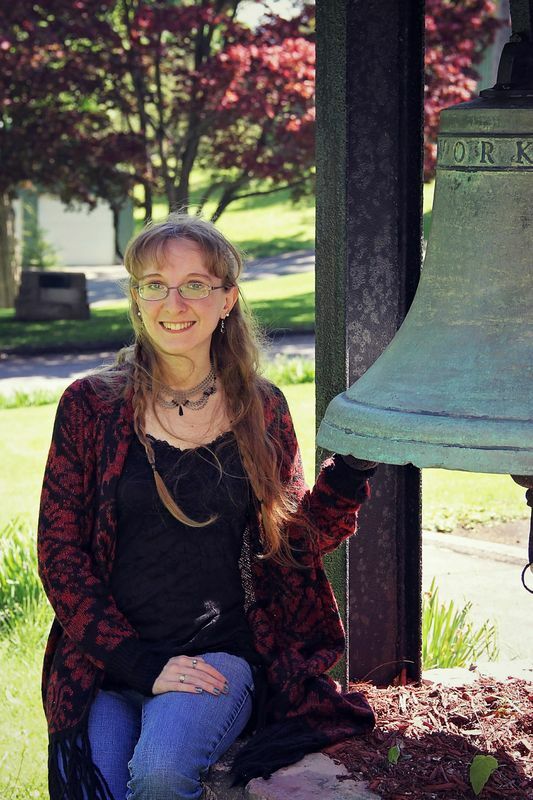 Together, they're a fantastic steampunk-western story. Very enjoyable, very fast-paced, a lot of fun!